Chiropractic is the science, art, and philosophy of finding and correcting the cause of human ailments, not just treating the symptoms. Chiropractors are often thought of as “neck and back doctors.” However, a more accurate description would be that chiropractors are “nervous system doctors.” As a chiropractor, I focus on the spine because that is where the nervous system is located. Your nervous system is made up of your brain, spine, and all the nerves that come out of your spine. Your nervous system controls everything in your body. Nothing happens in your body without your brain and your nerves controlling it to happen; from walking to breathing. As a chiropractor, I understand that your body is a self healing entity. If you get injured, your body should be able to heal itself, as long as the nervous system is working properly. However, if there is anything that is interfering with the nervous systems ability to function, then that healing may not take place. Let me explain. As a chiropractor, I look for and correct subluxations. What is a subluxation? I’m glad you asked. A subluxation is a vertebrae that is misaligned and not moving properly. 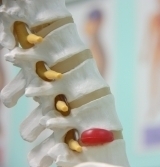 When this occurs, the spine no longer functions properly, but that’s not all. A misaligned vertebrae stresses and irritates the muscles and ligaments around that area which can then create pain, but that still isn’t the most important part. This subluxation also causes the joints around the vertebrae to swell, which can then put pressure on the nerve that is leaving the spine in this area. Whatever that nerve is going to isn’t going to work as well because it isn’t communicating with the brain. If that nerve is going to your head, you could get a headache. If that nerveis going to your stomach, you could get heartburn or upset stomach. If that nerve goes to your intestines, you could get constipation or diarrhea. If that nerve goes down your leg, you could get sciatica. This is why I said that chiropractors are really “nervous system doctors.” Chiropractorsare the only doctors specifically trained to locate and correct subluxations. Once corrected, the nervous system and spine can heal itself and the symptoms will go away. I don’t actually heal anyone, I remove interference in the nervous system so that the person’s body can heal itself. Do you have nerve interference in your spine? Copyright 2015 Capital City Chiropractic | All Rights Reserved.